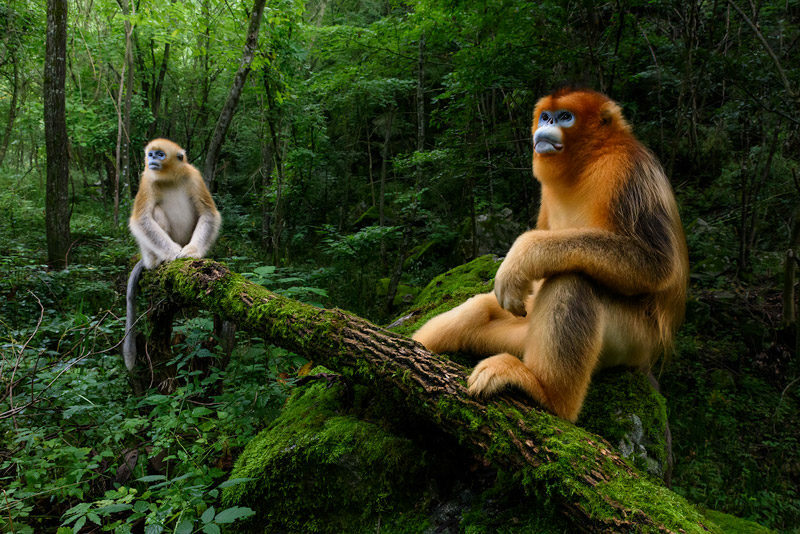 Two Qinling golden snub-nosed monkeys, photographed in their natural habitat in China. They're an endangered species - only 3,800 still exist. Winner of an Honorable Mention in the European Wildlife Photographer of the Year awards.